From our dating days, Stacey and I have discussed adopting one day. Our plan was to have 2 children biologically, then adopt 1 or 2 more children. With the birth of Allison and then Emma, those plans to adopt got put on the back burner. We've been on a holding pattern, discussing adoption on and off for the past 9 years. The time to discuss is over and we are finally moving forward. We are going to be adopting a girl from Vietnam. We've chosen an agency and have started the process. We had our home study on March 20, and are now working to get all the papers necessary to complete it. There are so many hoops to jump through, but the agency has them all lined up for us. We want to use this blog to keep you up to date on how things are progressing. Please pray that God will work out the many details yet to be taken care of and that we will be able to bring home our little girl within the next year. I'M SOOOOOO EXCITED FOR YOU AND WILL BE PRAYING WITH YOU EVERY STEP OF THE WAY. KEEP US UPDATED! LOVE YOU! Wow! I'm sitting at my computer with tears running down my face. I'm so happy for you! Congratulations! I know there will be highs and lows on this journey, but you will be covered in prayer by all who love you! Wow, a new niece - I can't wait! We love you already! We will be praying for you through this journey. We are so excited for you and can't wait to here more news. We are very excited to think of another addition to the family. It will be nice that our boys will have a cousin their age. She will be the only one! Thanks for letting us share your journey over the next year with you. My joy is overflowing at this moment.. I love you guys and will pray for you during this time of preparation and planning.. I am so excited and happy for you all! 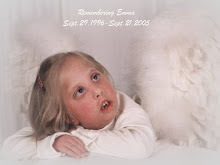 Your page in memory of Emma is beautiful and I feel so privileged to have been a part of your lifes. Miss you all in PA.
Will keep you and this new little one in my prayers. This is wonderful! God is sooo good. We will be praying for God's hand to be on each and every step and decision to be made.